Happy Monday! To start off a new week with a kick I have a quick nail art mani for you. 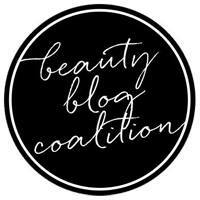 Today starts the beginning of another themed nail art week with some of my fellow nail bloggers! 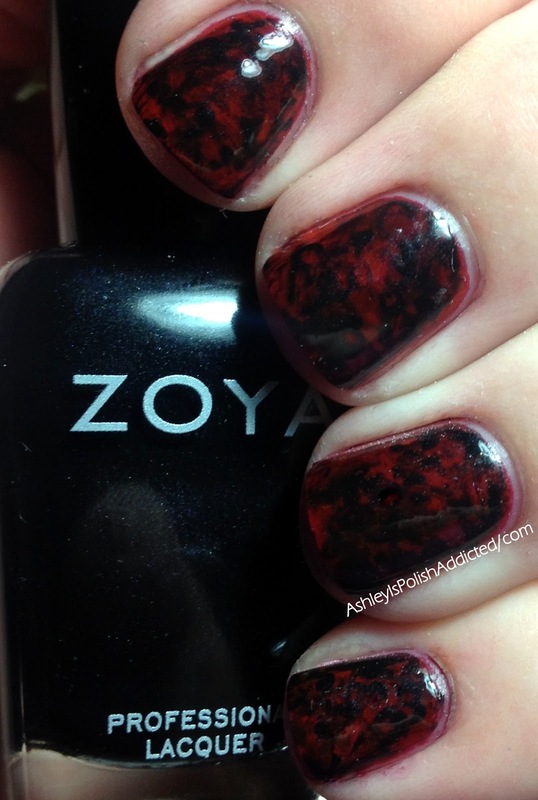 This week's theme is Rocks and Minerals. 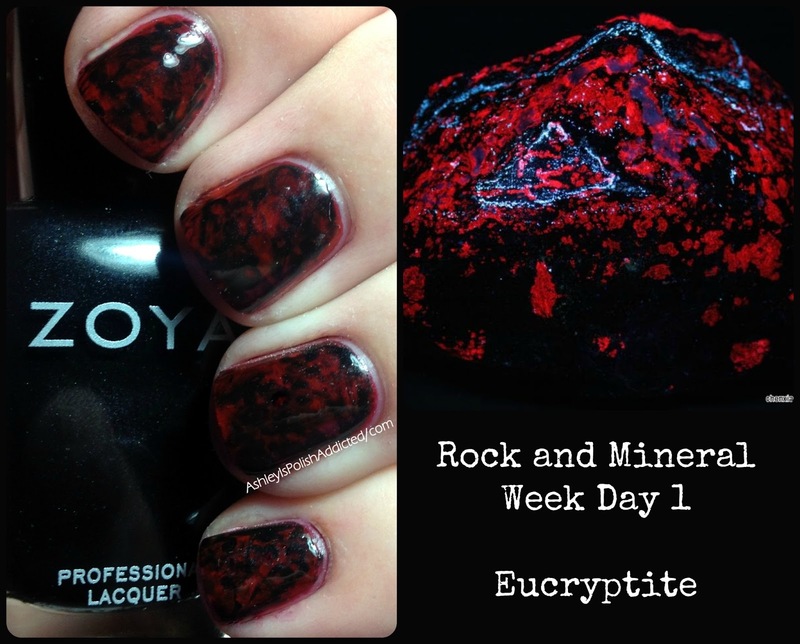 I gotta be honest, I was really unsure of how I would be able to do 5 different nail art looks based on rocks. I collected rocks when I was a kid and still have a shoe box filled with my favorites. But the box is on the top shelf at the back of my closet and I wasn't ambitious enough to dig it out. 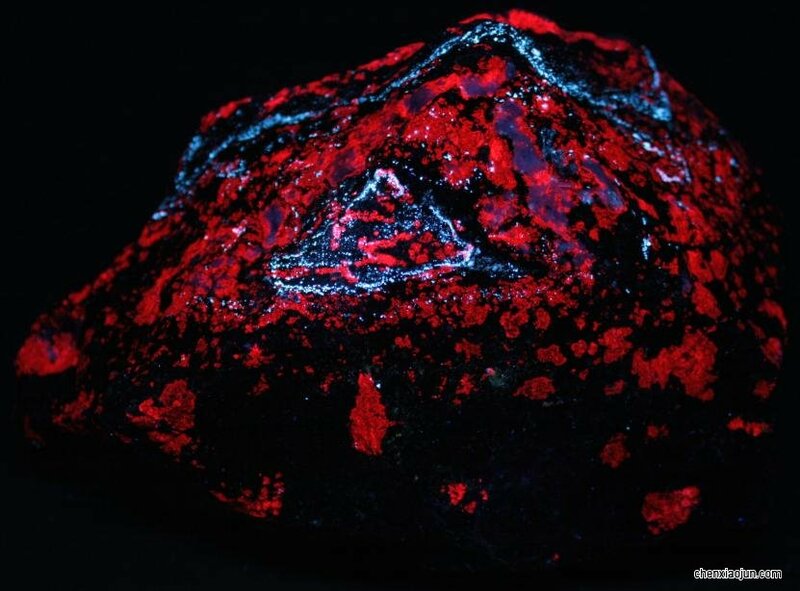 LOL So I started googling and I ran across some very cool rocks from China that glow bright , and some even neon, under a blacklight. One of them, Eucryptite, glows bright red and black! I have always loved red and black together so I was excited to try it. If you would like to learn more about this stone, you can find information here. I started off with a red base and, after it was dry, added the black randomly. I then swirled and dabbed with a striping brush, as well as using acetone to give it a more subtle look. I was pleased with the outcome! I can't wait to try out more looks this week! Wow, wow, wow and WOW! This is fantastic! I love it!!! !